As a business owner, PR is important and keeping a good reputation is extremely challenging. All you need is just one hater that can spark off tons of other negative people showing. When a hater writes something on product or service review sites, it can spark off tons of other negative ones. Imagine how a few words or lines can stop a potential customer from choosing you over others. It’s that one little rant online which means that that one customer would never visit you again. Businesses that are in the professional services, food and catering service, hospitality and manufacturing industry are dependent on receiving some critical feedback from their customers. Always remember that there will always be a few tiny slips that would bring about that dreading frown upon your customer’s face regardless of how hard they try to make things perfect. 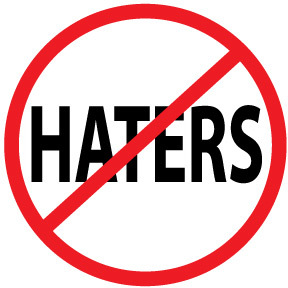 Fortunately, there is something you can do to reduce the amount of haters your business have. It is not guaranteed that everybody loves what you do, as there will always be some who’ll hate some thing about your brand. To do this, you need to take action. You need to make sure that every customer that has bought your product or service, or have visited your premise (for hospitality businesses) are all happy and satisfied. If your services products aren’t up to the mark, at least make sure you give attention to their complaints and feedbacks. Even the most experienced and top performing business can also get hated by some of their customers. Majority of these businesses have numerous transactions that were completed successfully, yet, there are cases when things do not go so smooth and problems arise down the road. In such cases it is essential to know how to deal with those haters. Previous PostPrevious Small Business Insurance: What Do You Need?